The Dispute Resolution Review provides an indispensable overview of the civil court systems of 36 jurisdictions. It offers a guide to those who are faced with disputes that frequently cross international boundaries. As is often the way in law, difficult and complex problems can be solved in a number of ways, and this edition demonstrates that there are many different ways to organise and operate a legal system successfully. At the same time, common problems often submit to common solutions, and the curious practitioner is likely to discover that many of the solutions adopted abroad are not so different to those closer to home. 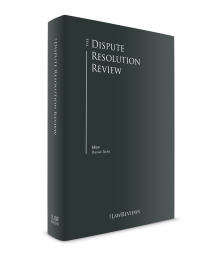 This 11th edition follows the pattern of previous editions where leading practitioners in each jurisdiction set out an easily accessible guide to the key aspects of each jurisdiction's dispute resolution rules and practice, and developments over the past 12 months. 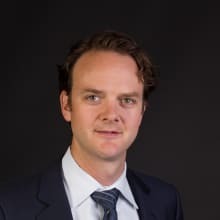 The Dispute Resolution Review is also forward-looking, and the contributors offer their views on the likely future developments in each jurisdiction. Collectively, the chapters illustrate the continually evolving legal landscape, responsive to both global and local developments. Finally, I would like to express my gratitude to all of the contributors from all of the jurisdictions represented in The Dispute Resolution Review. Their biographies start at page 573 and highlight the wealth of experience and learning from which we are fortunate enough to benefit. I would also like to thank the whole team at Law Business Research who have excelled in managing a project of this size and scope, in getting it delivered on time and in adding a professional look and finish to the contributions.